Kyoto is possibly my favourite place in the whole world. 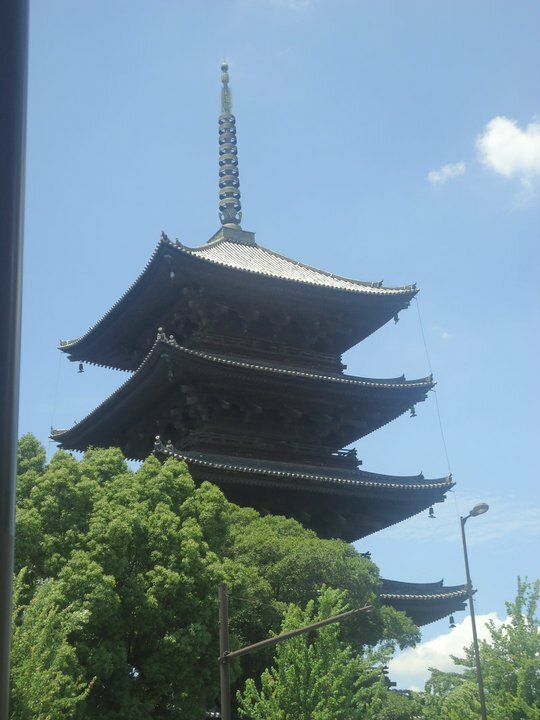 It has the commodities of a big city while preserving its traditional Japanese soul. Kyoto is a city that deserves more than a couple of days rushing through the temples… it deserves to be savoured little by little and understood in all its beauty. The three months I spent in Kyoto are so full of good memories and new experiences that it’s hard to know where to start, but I’ll try to give you some tips. Temples and shrines are already covered in this article. 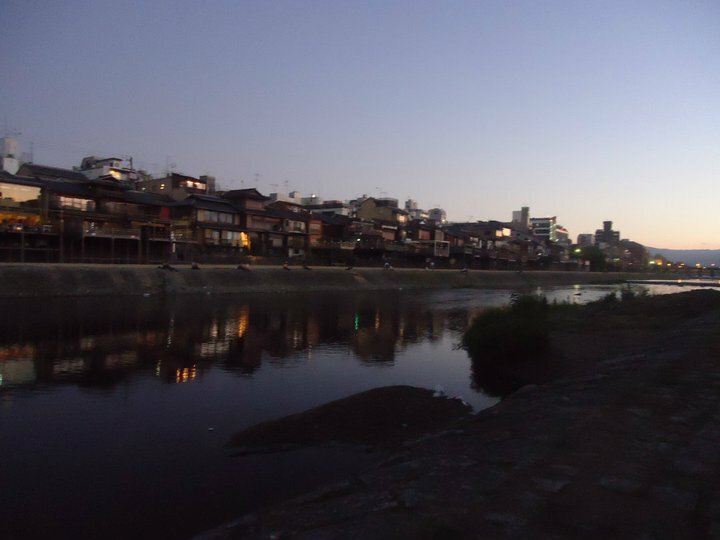 Walking along the Kamogawa is amazing at any time of the day. Under the sun, under romantic lights, in the dark, but especially in the early morning at the first light of day. Sit on the river banks with a blanket and something to drink and enjoy the show. 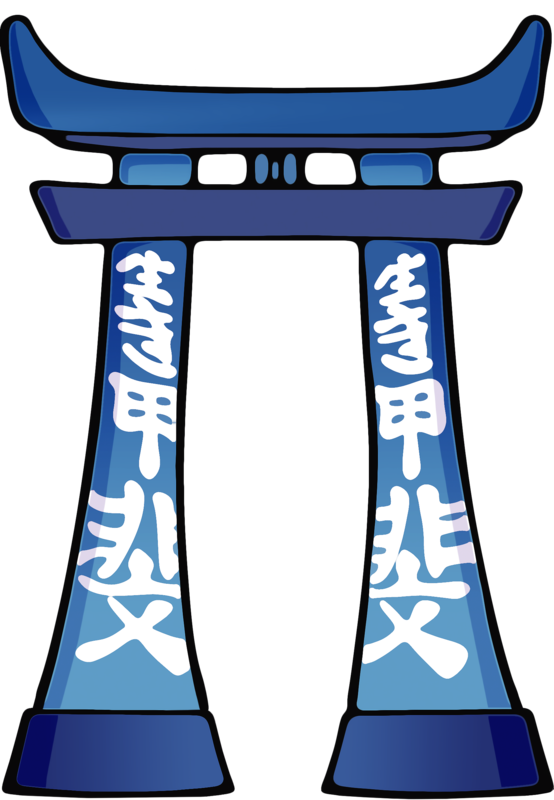 Especially in summer, the city proliferates with matsuri (festivals). 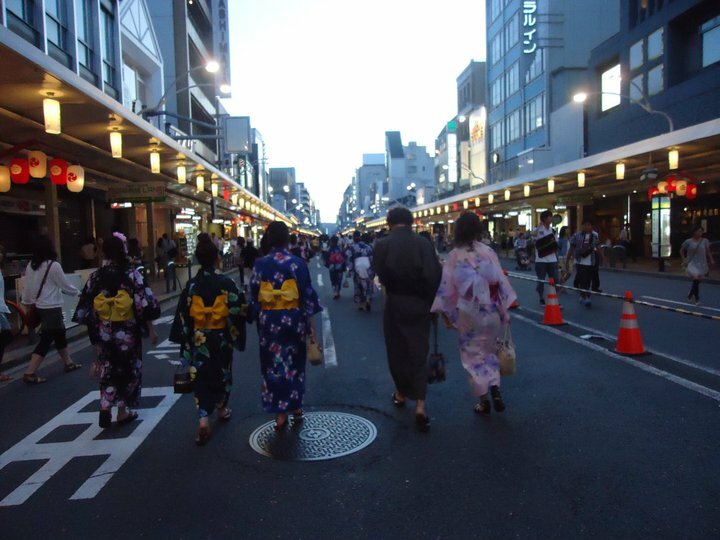 It’s the perfect occasion to wear a yukata (a summer kimono) and immerse yourself in the authentic Japanese culture. You can buy a cheap one for 2-3000 yen in the shopping streets around Shijo-dori and wear it at the Gion matsuri in July, at the Obon matsuri on August 15th, for Tanabata on July 7th or at any other festival. In winter, you’ll most likely need a heavier kimono due to the temperatures, but those can be quite pricey… If you really want to try it, you can always rent one for a day. Gion is one of the most touristy areas of the city, with many souvenir shops. A lot of them offer little samples of a traditional Kyoto sweet called yatsuhashi. They are floppy sweets made with rice flour, they come in different flavours and are perfect with a cup of green tea. If, walking down from the Kiyomizudera, you enter every shop and sample a few, you’ll be full in no time at no cost! They also make the perfect edible souvenir for friends and family, so you may want to consider actually buying a box after trying them all. If you really want to be the only foreigner around, go to a small community festival. Usually held at a smaller shrine, just show up and let some old ladies teach you the moves! It can be embarrassing at first, but the kindness and warmth of everyone around you will make it an incredible experience. 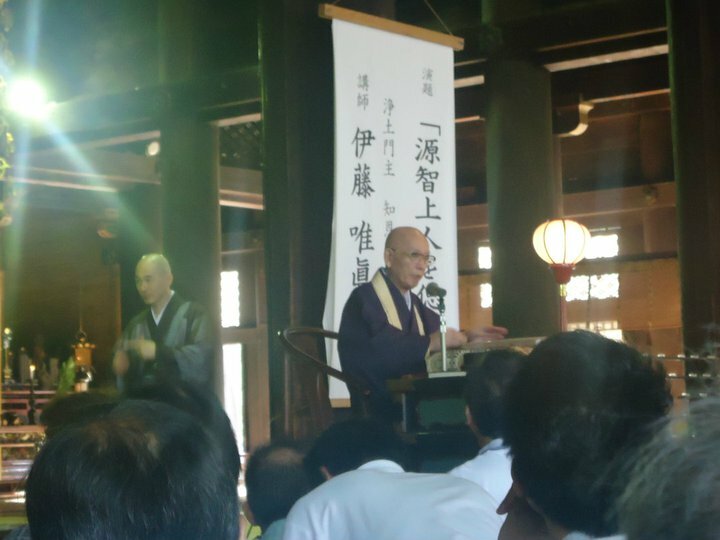 Some Buddhist temples hold prayer sessions and lectures at dawn on Sundays. Everyone is welcome, as long as you keep quiet and are respectful. Sit on the tatami in the temple with the book of chants and try to follow along (or just watch if you have no knowledge of Japanese). If you last until the end, you’ll be rewarded with a simple breakfast of kayu (rice porridge) with seasoning and a cup of green tea. Every 21st of the month, the grounds of the Toji temple become a kaleidoscope of colorful stands, new and used curious merchandise and bizarre vendors. It’s the perfect occasion to find the most unusual souvenirs and mingle with the locals. And even if you decide not to buy anything, it’s still a great cultural experience. Kyoto’s station is much more than just a station. Go underground and explore the maze of shops and restaurants around: you’ll be spoiled for choice! And for a nice view on part of the city and on the Kyoto Tower, take the escalators all the way up and take a walk on the terrace of the station. 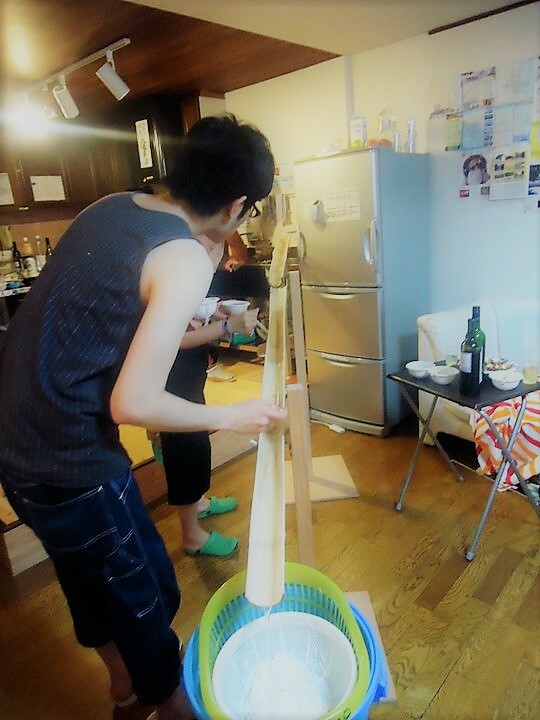 If you don’t want to starve, start polishing your chopsticks skills and be ready to catch the noodles flowing down the bamboo tube! 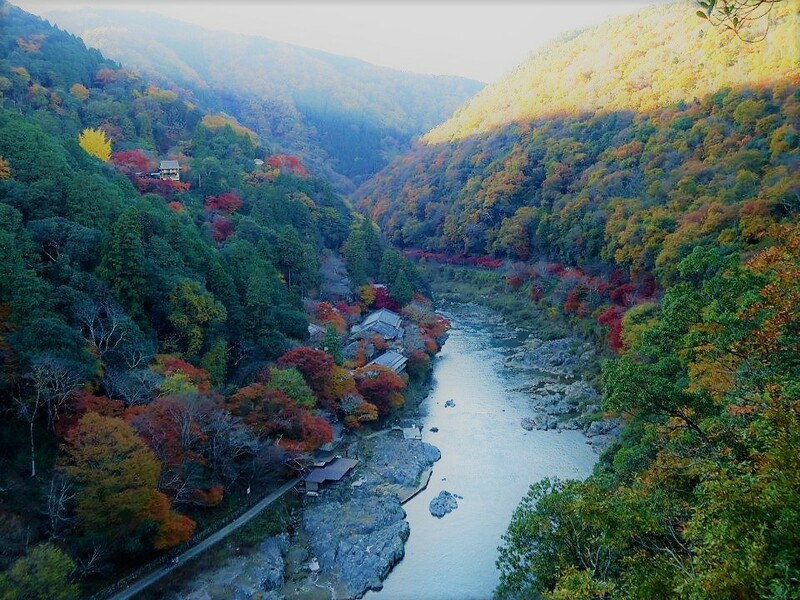 Arashiyama is one of the most beautiful areas in town. It becomes incredible during the changing leaves season in November, but it’s worth a visit all year around. 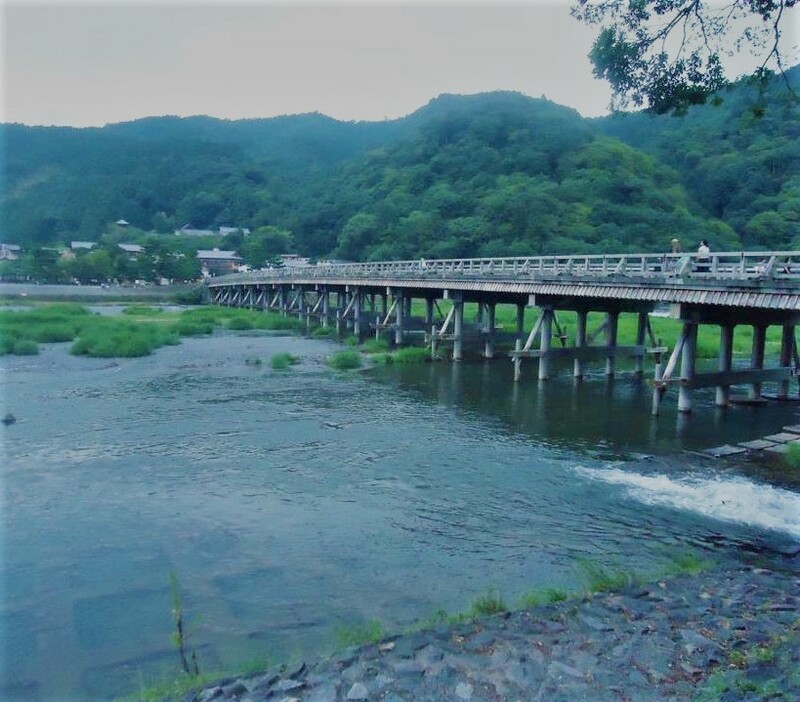 You can walk through the amazing bamboo forest, try to spot beavers in the river, eat weird-flavored ice-cream, visit temples and even take a very close look to some monkeys at the Monkey Park. 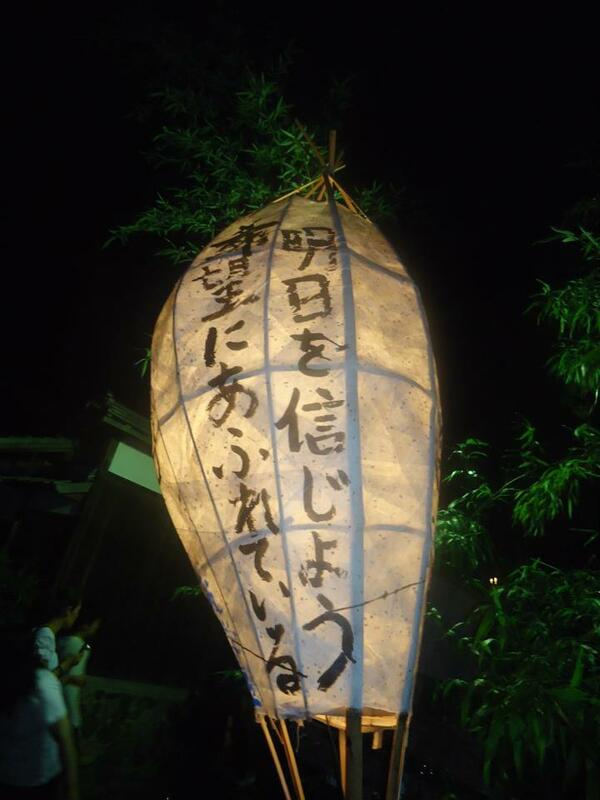 In summer there’s also a lovely lantern festival with a romantic evening light-up. To shop like a local, see and try all sorts of food, go to the Nishiki Market. From fruit and vegetables to fresh fish and meat, to fried food, to intriguing snacks, they have everything. For this culinary journey, head one block north of Shijo-dori and Teramachi and look for a covered shopping street with “Nishiki Market” signs. Finally, a visit to Japan wouldn’t be complete without purikura. Purikura means “print club” and it’s the noble art of taking pictures in a photo booth and editing them with special effects, emojis, words and so much more. Do you want big eyes and perfect skins? You can! Purikura booths can be found in every game center, in movie theaters, even at the station. Pick the effect you like the most and have fun! If you’re with a Japanese person, you’ll get to witness their magic skills at the purikura art. In the time that takes you to decide whether to add a funny hat or a pair of sunglasses to one picture, they will edit 6 photos in all sorts of ways, print them and add everyone’s email address so that you get a copy straight to your phone. I’ll stop here for today, but the opportunities to experience the local culture in Kyoto are endless. Go out and explore!